March 5, 2015 Domino Plastics Company Inc. 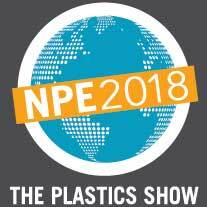 Port Jefferson, N.Y.—Domino Plastics Company announced plans to meet and converse with plastics industry professionals about plastic scrap recycling at NPE2015: The International Plastics Showcase. The company’s booth will be at the pavilion of the South Hall at booth #S32102, one of 17 technology pavilions highlighting the latest innovations and technologies in the industry, including 3D printing, advanced manufacturing and recycling and sustainability initiatives. NPE is rolling out a number of exciting new features this year: a fashion show in partnership with the Savannah College of Art & Design (SCAD) using designs made out of recycled plastic materials, the Zero Waste Zone showcasing technology, products and processes designed to reduce waste in plastics manufacturing, and the NPE2015 Startup Garage, hosted by Startup.Directory, designed to provide startup companies with a special opportunity to spotlight their products, services and companies at the event. In addition to the learning opportunities on the trade show floor, NPE2015 offers a world-class education program focusing on the latest technology trends and business solutions to help companies streamline operations and improve profitability. The event also provides a significant networking opportunity for plastics professionals from around the world—more than 20,000 unique buying companies plan to send representatives to NPE2015. To order a free guest pass to for admission to NPE2015, visit http://www.npeguestpass.org/47824. Domino Plastics Company Inc. is a full service plastics recycling company that’s been in business for over twenty years buying and selling post industrial plastic scrap. Domino Plastics’ nationwide warehouses ensure next day domestic pickup and fast payments for plastic scrap. Visit www.domplas.com. The International Plastics Showcase is a triennial exposition owned and produced by SPI: The Plastics Industry Trade Association. NPE2015 is the largest plastics industry event in 2015, hosting over 60,000 industry professionals from 120 countries and bringing the plastics industry together like nowhere else. It offers multiple educational programs and a world-scale trade show with 2,000+ exhibitors and over one million square feet of space (93,000 square meters). The event takes place Monday through Friday, March 23 – 27, 2015, at the Orange County Convention Center in Orlando, Florida. Visit www.npe.org for more information.